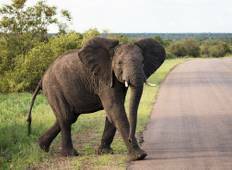 Find a Overland truck trip that explores Hwange National Park. There are 48 tours to choose from, that range in length from 8 days up to 142 days. The most popular month for these tours is August, which has the most tour departures. "Such an unforgettable trip! The Okavango delta was stunning and shouldn’t be missed!..." "Great trip however a lot of time spent traveling on the overlander"
"I’ve travelled a lot but not like this. It was a totally new experience for me...."
"The trip was great and it was a good way to see a little bit of Africa. 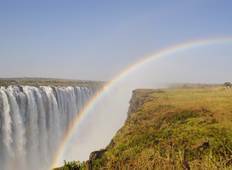 Some of the..."
"A wonderful trip from Victoria Falls to Cape Town with Dragoman. Great itinerary,..."
"Another amazing trip with Dragoman and Ben!! From start to finish this tour exceeded..."